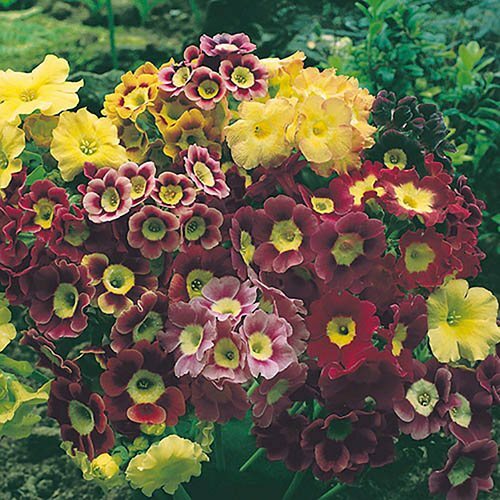 This lovely and relatively rare primula will thrive in UK gardens! It is hardy and perennial and will flower each year from March through to early June. Once planted it will quickly form evergreen clumps erupting with beautiful bright-eyed blooms. They will thrive in a well-drained spot in sun or partial shade; especially in pots on your patio! This lovely and relatively rare Primula has its origins in mainland Europe, but will thrive in UK gardens. It is a hardy perennial that will flower each year from March through to early June. Once planted it will quickly form evergreen clumps erupting with beautiful bright-eyed blooms that stand proud of the foliage, so plant them about 20cm (8in) apart to give them room to grow. They will thrive in a well drained spot, preferably in partial shade; you can even plant them in pots on your patio! For an exquisite posy carefully cut several stems and display them in a vase in your house where they will be sure to command interest from everyone who sees them. When planting in pots, top them off with grit and place in a cool, shady area - Primula don't like to be baked in the sun!